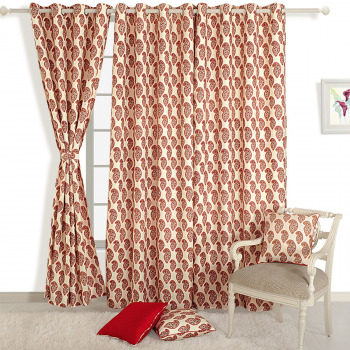 Enjoy in the presence of folk and culture by bringing traditional theme based curtains. 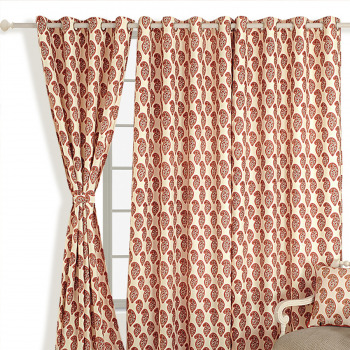 This natural eyelet curtains represent the famous block printing with its unique creative designs. The coordination of earthy colors, brown and cream, spreads the beautiful ambience all around. 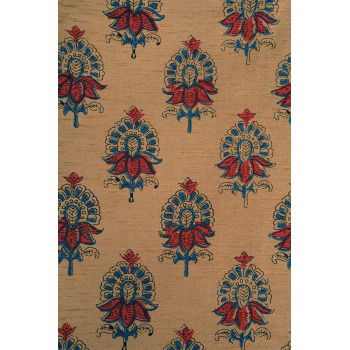 Buy brown paisley mulberry curtains from swayam India and fill rich Indian tradition vibes. 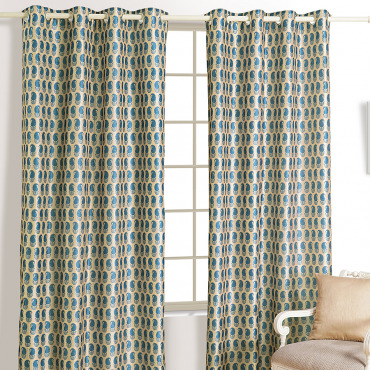 Fill the rhythmic surroundings in your surroundings by treating your window with innovative drapes. The rhombus design in a sequence is giving the vibes of musical tuning. 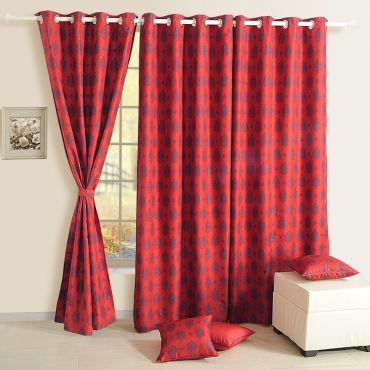 The lively color red and dusky brown creating a great visual appearance. 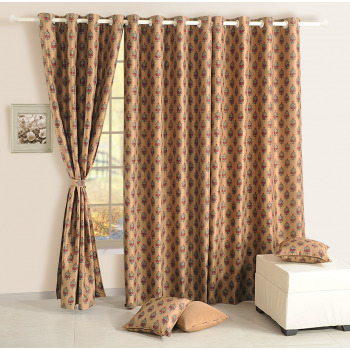 Buy sandy brown mulberry curtains from Swayam and produce a beauty of music in the space. 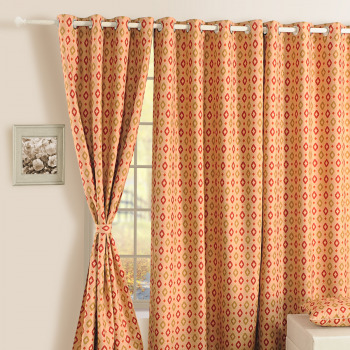 A decorative ensemble that would instantly lift the look of the room and transform its appearance is natural eyelet curtains. 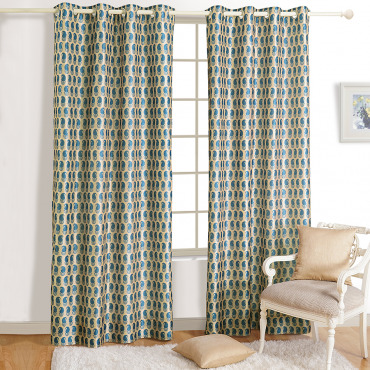 Considering the bright walls, artifacts and high-end modern furniture, one must look forward to buy radiant gold mulberry curtains from Swayam as they are light both in use of patterns and colors. 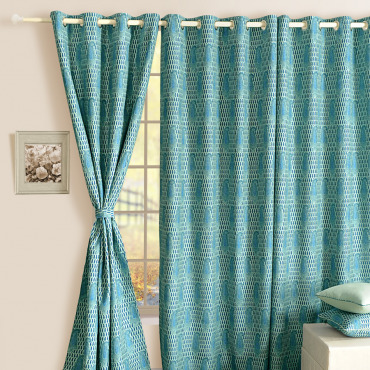 Create an Ocean View Give a classy look to your window by dressing it up with paisley in the ocean. Fill the essence of the marine in your space and make yourself relaxed and calm. 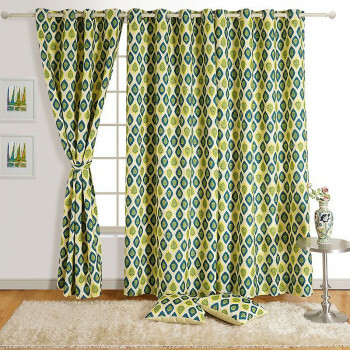 The paisley design in a bold and small pattern is looking awesome from all angles and giving a refined look. 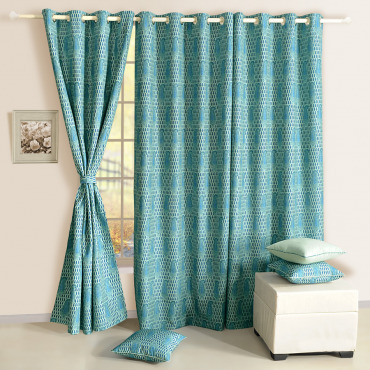 Buy sea green mulberry curtains from Swayam and symbolize the great journey of your life. 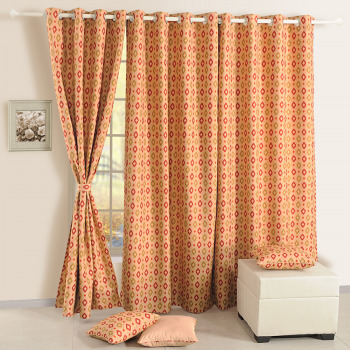 As young homemaker seeks to give a unique and elusive look to the interiors, what may gratify their satisfaction is a pure blend of tradition and modernity which they could easily avail with natural eyelet curtain from Swayam.